Glass tile colors are more vibrant than natural stone colors. They are also easier to match with other items or features in the room. Natural looking ceramic or stone tiles are generally designed to blend in with the surroundings, while glass tile designs allow you to make it stand out. 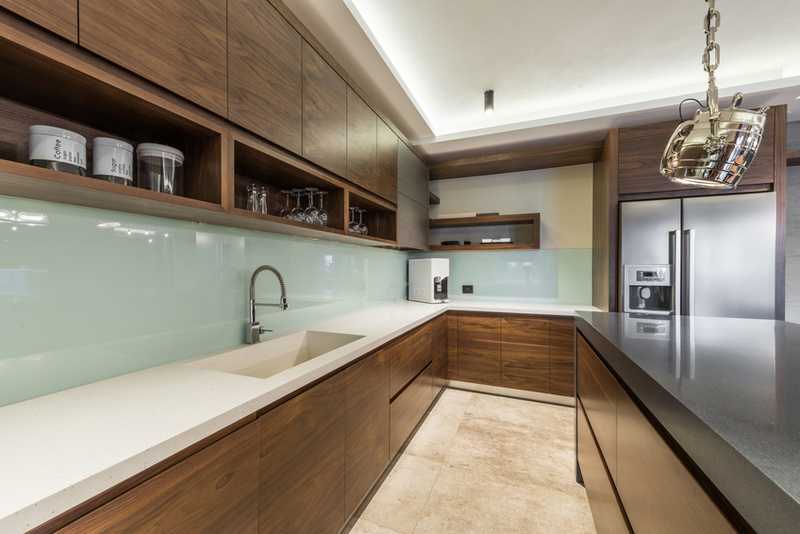 A kitchen backsplash needs to be easy to clean, which you also get with glass tile. It won’t stain like ceramic or stone tiles can, which makes it more practical in the kitchen. Although it is not as durable as ceramic, a backsplash does not need the same level of durability as a floor does. You can create your won glass tile backsplash patterns with a mosaic design. You can do this with a variety of smaller glass tiles arranged together, or you can do this by breaking glass tiles and using the pieces to create a mosaic pattern. If you are working with broken tiles, it is important to use gloves to protect your hands. Beyond that, you just need tile adhesive and grout. You glue the broken pieces in place and then once you are done with the entire backsplash area, you cover it with grout allowing the grout to fill the spaces between the tiles. Once the grout dries, wash the area with warm water to remove excesses grout from the durface of the tiles. Not everyone likes the mosaic look. You may choose to go with a subway tile pattern, which is commonly found in modern kitchen and bathroom designs. One of the many nice things about using glass tiles for the backsplash is that they are very easy to clean. Regardless of whether it is a kitchen or a bathroom, you want the surface to be easy to clean and sanitize.